Hold on to something strong Little Kanawha Conference baseball fans, because we have some drama ahead this week in the final games of the league’s regular season. 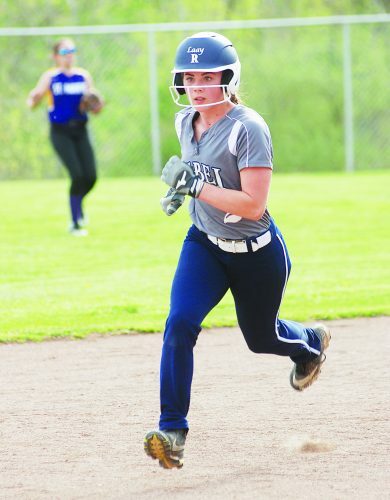 Ritchie County’s 8-6 road win over LKC West foe Williamstown Saturday meant the battle to join Ravenswood, Gilmer County and Braxton County in the LKC semifinals reached a boiling point. Dan Vannoy’s Rebels now sit at 7-3 in the West, while Terry Smith’s Yellowjackets are 7-2. Williamstown has one game left to play in the pod (Parkersburg Catholic on Tuesday) and Ritchie County has two pod games left (Wirt today and Tyler Tuesday). A win by the Yellowjackets coupled with any Rebels’ loss means Williamstown claims the final spot. However, if Williamstown loses and Ritchie wins out the Rebels make the trip to Sue Morris Complex Thursday. I have been running the numbers myself at the paper the past few weeks and it has been a lot of fun watching the competition level approach a fever pitch through the final weeks of the season. Speaking of hot seats, all classes of softball begin the march to Vienna this week with sectional play. Only four teams will be left standing with the time coming to start playing state tournament games at Jackson Park a mere two weeks away. Parkersburg South, Ripley and Parkersburg High battle in the three-team, double-elimination Class AAA Region IV, Section 1 for the right to face reigning state champion Hurricane in the regional final. South claimed the top seed and awaits the loser of the No. 3 PHS and No. 2 Ripley 5:30 p.m. Tuesday game at Godbey Field in a 7:30 pm. matchup the same day. Stay tuned for updates on how the section plays out. In Class AA, newly-minted LKC champion Roane County awaits the winner of Clay County and Lewis County at 7 p.m. Tuesday in Spencer. A win pits the Raiders against reigning state champion and undefeated Herbert Hoover for a trip to the regional championship. 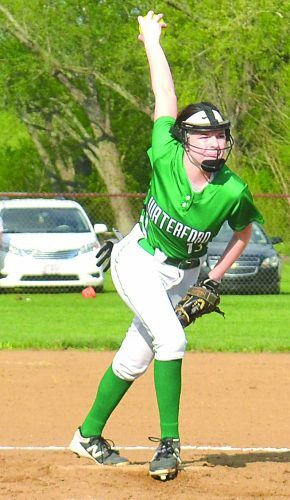 Down in Class A Region I, five local teams hope to get a crack at reigning state champion Wheeling Central when Section 2 action action begins with St. Marys at Paden City today. Over in Region II, Section 1, Wendall Tomblin’s mighty Gilmer County offense plans to hit their way to a regional final appearance at 7 p.m. Monday. The Titans first roadblock is either Notre Dame or Tygarts Valley. A state tournament qualifier from a year ago, Moorefield, appears to be the team to beat again in Region II. Finally in Region IV, Section 1 action Ravenswood vs. Wirt County along with Calhoun County at Williamstown on Tuesday mark the opening of the tournament with each game at 5 p.m. While we still won’t know who is participating in the state tournament for softball by the end of the week, the tennis participants should be set come Saturday. Class AAA regional action begins all over the state on Wednesday with the finals Thursday, while Class AA/A starts Thursday with the finals Saturday. Yours truly reports from Huntington on Thursday and Clarkersburg on Saturday. The chances local teams lay claim to regional championships are good. The Parkersburg High girls’ tennis team stands as the one to beat during Region IV action at Ritter Park. The Big Reds’ boys also can claim a title, but have some work to do against players from George Washington and Huntington. 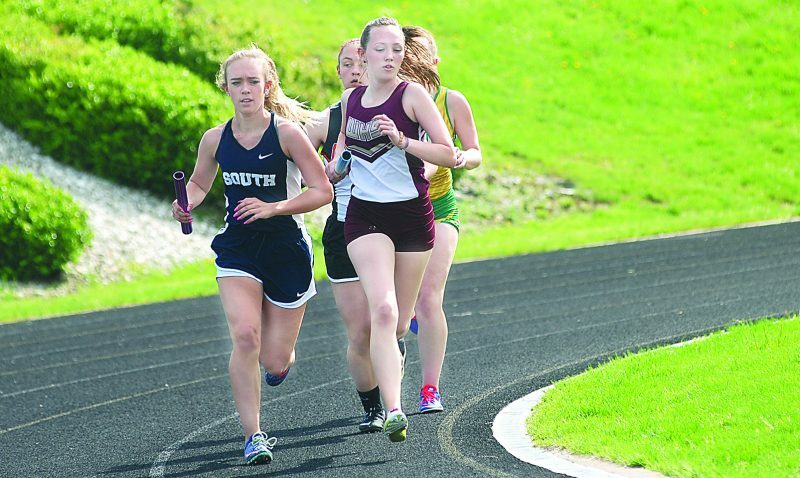 Parkersburg South’s girls want to make some noise as well and send a few of their athletes to next weeks state tournament in Charleston. The Patriot girls come in to regional play with their heads held high and confidence soaring after a runner-up finish in the Ohio Valley Athletic Conference’s 5A division last week. Four No. 1 singles players, three No. 2 singles players, two No. 3 singles players, one No. 4 singles player, three No. 1 doubles teams, two No. 2 doubles teams, and a single No. 3 doubles team qualify for the last matches of the season. Over in Clarksburg, both Parkersburg Catholic teams have strong mindsets and the desire to send both the boys and girls to Charleston one year after the boys won the state tournament. Lincoln stands as their biggest challenge in the region right now. Crusaders hit the court at 9 a.m. Thursday at Robert C. Byrd High School. Similar to LKC baseball, conference titles are up for grabs in the world of track and field this week too. 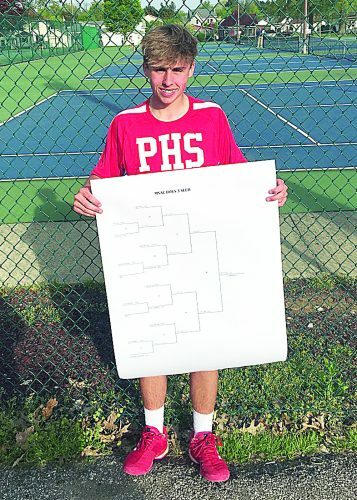 Parkersburg High heads to the Mountain State Athletic Conference tournament May 5 in Charleston May 5 with some positive momentum. Lia Fleek’s Big Reds’ girls team captured first place at the Gazette Relays last weekend, while Rod O’Donnell’s boys took second place. The LKC holds their meet one day earlier at Ritchie County High School.